Home Computer Change Windows Password Without Knowing Old Password. Change Windows Password Without Knowing Old Password. Hey Friends wassup...!! Today I'm here to sharesome awesome methods to Change Windows Password Without Knowing Old Password. change windows 7 password and change windows 8 password without knowing old password. You can try on other windows and I'm not using any windows password recovery software or any other software here. 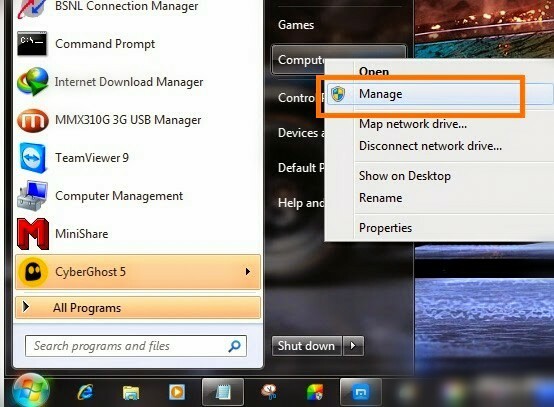 You may also like "How to find last shut down time of your pc". we all know everyone uses user password in their computer so that no one can use their computer without their permission. Sometimes we wanna change someone else computer password without their permision. I dont think its important to discuss the reasons to reset windows password of anybody else 😂. There are also lots of things which people want to know like the active directory domain services is currently unavailable etc but this trick is really great. Sometimes we just wanna show off our friends that we can change windows password without knowing old password or we can change the password of our friend just for prank. So let's just directly come to the point how to change windows password without knowing old password.. 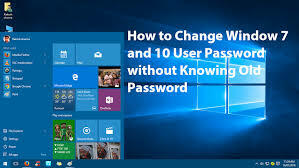 I'll show you two methods to do this, both are really easy to do in few minutes but you can choose which you thinks more easy to change windows password. Step 1 :- First of all click on windows button and then right click on 'computer' option and the choose 'manage' option. Step 2 :- Now a 'computer management' window will open in front of you. In the left side click on 'system tools' option then click on 'local users and groups' and then click on 'users' option. Step 3 :- Now in the right side you'll see your computer user name, just right click on that. Step 4 :- Now select 'set password' option. Step 5 :- Now a pop up window will open in front of you, just click on 'proceed' button over there. Step 6 :- Now just enter you new password and then enter confirm password and tap on 'ok' button. Step 7 :- Now you have successfully changed windows password, you can restart your computer and login with your new password. You may also like "How to recover deleted files on your computer or pendrive". Step 1 :- First of all click on the windows button and search 'cmd' in search box. 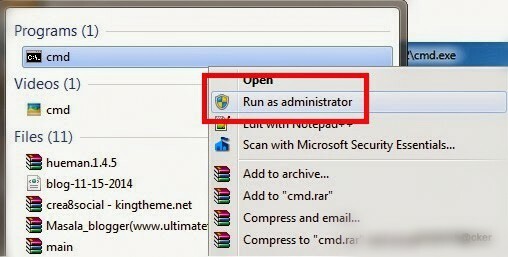 Now just righ click on that cmd option and choose 'run as administrator' option. 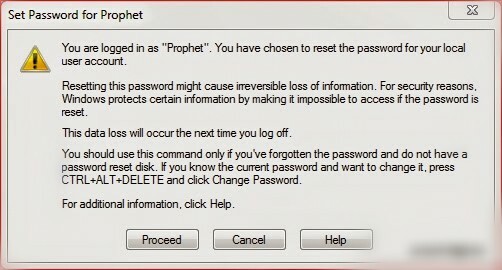 Step 2 :- Now just type "net user prophet 123456". 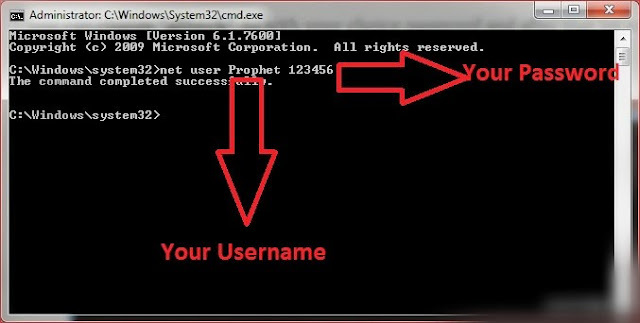 Type you windows account name in the place of "prophet". 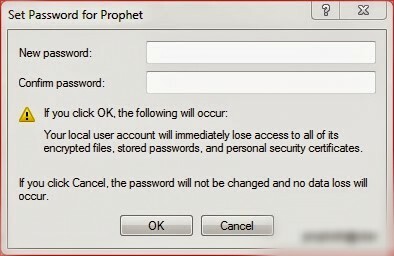 As my windows username is prophet thats why I have use this name. Step 3 :- Now you have successfully done change user password. Your new password is 123455. Now you have successfully learned how to change windows password without knowing old password. If you are having any problem in any step then comment bellow and I'll definitely help you.